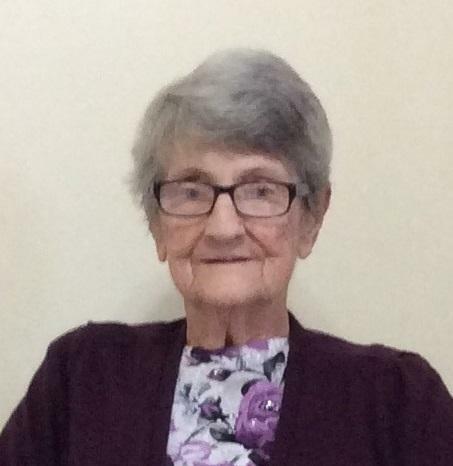 Passed peacefully away at her home in Rock Harbour, NL, on Friday, Dec. 29, 2017, VICTORIA BROWN, of Rock Harbour, NL, in her 79th year. Leaving to mourn her loving sons Ken (Glennis), Marystown, Augustus (Eliza Ann), Rock Hr., daughters Elaine Moggy, Burin, Rebecca Curl (Paul), St. John’s, Judy Kelly (Vince), Marystown, Goldie Appleby (Bob), Cormack, Bonnie Brown (Randy), Marystown; 11 grandchildren, 5 great grand children; brothers Carl Hooper (Elizabeth), Marystown, John Hooper (Shirley), Marystown, Stephen Hooper (Marilyn), Pasadena, sister Alice Grandy (Thomas), Garnish; and a large circle of other relatives and friends. Victoria is predeceased by her husband James Gabriel, parents Stephen and Elizabeth Hooper, foster parents Richard and Rebecca Hodder, son Jason, daughter Mondella, and step brother – James Hodder. Rev. Wayne Short conducted the Funeral Service at St. Peter’s Anglican Church, Rock Harbour, on Sunday, December 31st, 2017; at 3:00 pm. Interment was at the Anglican Church Cemetery in Rock Harbour, NL. In Victoria’s memory, donations may be made to St. Peter’s Anglican Church Cemetery Fund, Rock Harbour. Pall bearers were Vince Kelly, Bonnie Brown, John Hooper, Carl Hooper, Stephen Appleby, and Randy Hodder.